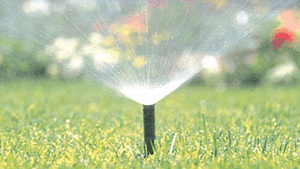 Lawn Envy offers spring startup and fall shutdown services of your irrigation system. Our highly trained field technicians will ensure that all sprinklers are working properly to avoid the high cost … read more. Educating our customers about proper lawn mowing technique is very important to us. With our state of the art equipment, we will groom your lawn to make it look like the fairway on a …read more. 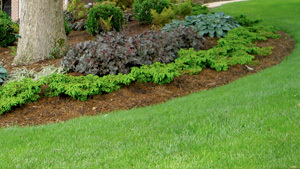 Our Spring Cleanup service is very important for a healthy lawn in the Spring and Summer months. The basic Spring cleanup spruces up your lawn by removing all leaves, … read more. 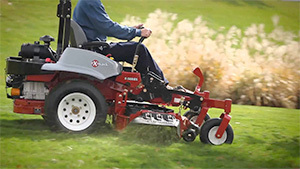 Our top notch lawn care services enables all of our customers to enjoy their lush, green, lawns. Our environmentally aware team strives for perfection because that is what our customers …read more. Our Spring Cleanup service is very important for a healthy lawn in the Spring and Summer months. The basic Spring cleanup spruces up your lawn by removing all leaves, sticks, and garbage. All debris is then hauled off site. A more thorough Spring cleanup can include de-thatching, removing dead growth from landscaped garden beds, repairing snowplow damage, re-defining landscaped garden beds and installing fresh mulch to start the season. Fall Cleanup is an important investment to ensure a healthy lawn next Spring. Lawn Envy’s basic Fall cleanup includes removing all debris and leaves from the property, which helps prevent mold and other diseases forming over the winter months. Fall cleanup can be done with a one-time visit approach, or our crew can service your lawn every other week during the fall season to keep your property looking top-notch. 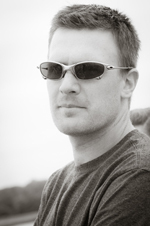 Patrick made the decision to begin his company in Peterborough, NH. Having his own lawn-care business allows him to be his own boss while cultivating his passion for lawn care and maintenance. His attention to detail and drive for perfection is evident in all his work. 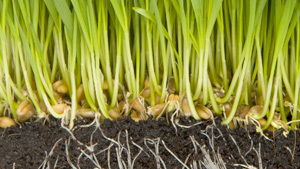 Lawn Envy offers a custom Organic lawn Care program to suit your needs.